Boundless – Explore, Collaborate, Build, Conquer, Discover. Explore a vast universe of connected worlds. Build an empire with friends. Become Boundless. Please note, Boundless is under active development, and so some features listed on this website may not yet be present in game. This feature list represents the future design of Boundless. For the latest news on the game's development, click on 'Forum' at the top of this page. Explore a universe of procedurally generated worlds with unique terrain, weather, resources, native creatures, citizens and their creations. Explore the land, explore the world, explore the entire, ever-expanding Boundless universe filled with amazing worlds and bizarre creatures. Mine deep underground, climb majestic peaks, discover mysterious abandoned ruins, search far and wide for the rarest crafting materials on your own or with your friends in an epic adventure. Travel to different worlds and survive in new environments with real citizens and challenges, search for deposits of rare resources, lost artifacts and loot. The universe is huge and disparate, when you travel to a new world you never know what you’ll find. Sometimes you’ll thrive, sometimes you’ll have to fight to survive. 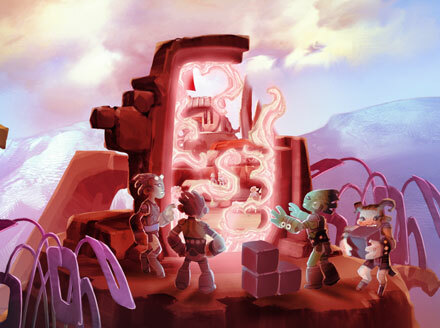 Discover and hunt a huge range of creatures across the Boundless universe. 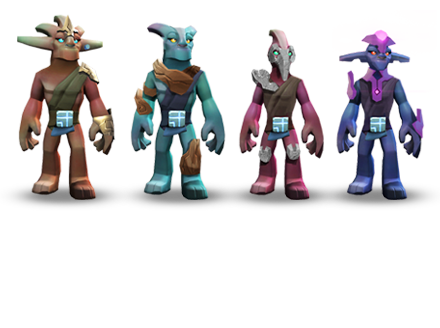 Boundless is populated with numerous strange breeds of creatures, some gentle, some dangerous. Creatures from different worlds have been free to roam throughout the universe and breed. This has resulted in some seriously odd wildlife. Tracking and hunting creatures can take time, skill and well-crafted weaponry, but successful hunters reap bountiful rewards for their efforts. Every world in the universe of Boundless is unique, with different wildlife, terrain, colours, resources, climates, players and their creations. Discover worlds rich in resources, and each different from the next. Ocean worlds where land is scarce and players live on small islands and atolls; mountain worlds where mines dominate the landscape and travel is difficult; desert worlds where minerals and metals are common, but survival is harsh. The next world you visit could be a world of plenty or poverty. When you venture out make sure you have the right equipment, and be ready to fight! Collaborate in a citizen-driven economy where everyone is connected. Amass wealth, gear, connections, power, and share with those around you, or keep it for yourself. Boundless is a universe populated by real citizens. How you act defines who you are. Go it alone, or find friends and work together to make something amazing. 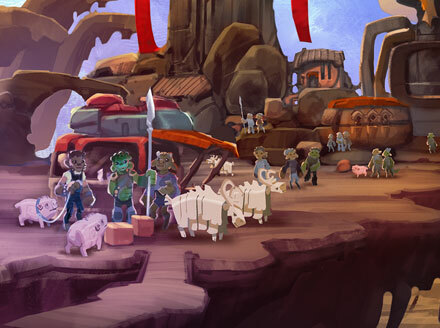 Claim a source of loot or rare resources and citizens will flock from across the universe to trade with you. Gather wealth, land, resources and share them with new or needy citizens and the universe will learn of your good deeds. 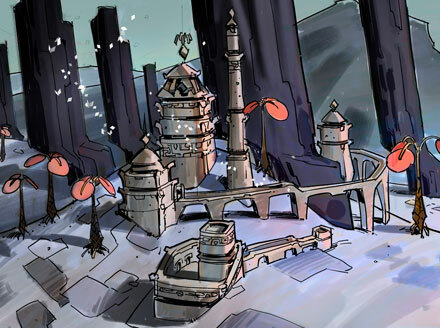 Form a guild for profit and claim strategic locations and travel routes to dominate your world. Join forces with other players and share resources, land and power by forming a guild. The more members, currency and land your guild controls, the higher your standing will rise. Compete with other guilds to become the greatest, most powerful guild in the universe. Grow your wealth through exploration, mining, crafting, selling, looting… Use it to trade, fast-track your way to better gear, or donate it to your guild. As you progress through the universe of Boundless your wealth will grow, which will allow you to trade with other players for resources, items, tools and weapons. Donate to your guild and it can be used to fund new build projects, Portals, stocking communal supplies and helping new guild members. Gain more wealth by taking advantage of resource imbalance. Gather prevalent resources on your world and sell them on other worlds where it's scarce. You can even charge players to enter your claims. Create a jaw-dropping structure and charge for entrance, or carve a convenient path through a mountain and charge players a toll to pass through. Rent your own world, construct it, and decide how it’s run and who can join. To gain ultimate control, sign up for a personal world. When you rent a world you can choose from a number of options, from the colour of a sunset, to the height of mountains and especially the little fiddly bits around the fjords. Personal world rental also gives you access to permissions and control over who can and can’t place Beacons on your world. Build on a small scale or large scale, alone or with friends. Claim and protect your land with Beacons, and connect it to the Boundless universe seamlessly using Portals. A universe of citizens await your creative talents, no creation will go unseen. Build almost anything you can think of. Protect your creations by claiming land using a Beacon. Now it's yours. Build a home to store your possessions and craft your wares. Join forces with your friends to create citizen run cities. Open Portals to seamlessly connect your land to friends' worlds, mining locations, populated cities or hub worlds and attract citizens from all corners of the Boundless universe. Place Beacons to claim land and protect your creations. Beacons allow you to choose who can and can’t visit or build on your land. Each player is entitled to craft a number of Beacons that can be used to claim and control land, allowing the owner to decide whether other players, friends or guild members can alter or add to the existing area. Combine Beacons with your friends to found a settlement and share land. Beacons can even be used to secure strategic resources or locations. Find a rich resource deposit and claim it before anyone else, then set up a shop on the surface and sell the goods. Open Portals to create pathways across the universe. Portals are doorways between two locations, allowing instant travel across any distance. Portals are doorways that physically link worlds across the universe. Search for Oort Stone and place it to create an entrance, then choose where you want it to go. If your friend lives on another world you can link your homes with a Portal and be as close as neighbours. If you want to explore new realms then open a Portal to a random or undiscovered world. Riches, mystery, danger and new friends await! Conquer the greatest threat in Boundless. Team up with your friends to take on the ancient Protectors and go to war with impossibly huge Titans. FEATURE NOT YET IMPLEMENTED - COMING SOON! Equip your hero with crafted weapons and wearables then head off on an adventure. Fight The Protectors to gain loot, experience and improve your prowess in combat. Join with your friends to take on more powerful Protectors and gain better rewards. The greatest threat in Boundless is unlike any other. 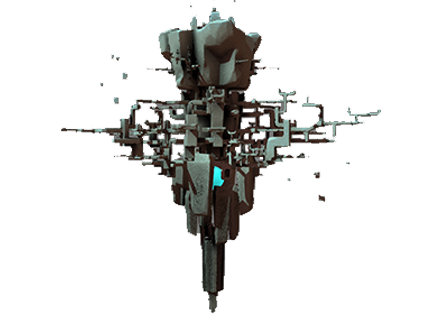 Titans are epic floating fortresses that stalk the landscape, swarming with Protectors and traps, containing most precious of Oort technology used for making your own floating contraptions. Gather your guild and use grappling hooks to climb, swing and jump onto them and then go to war! Co-ordinate the destruction of a Titan for the greatest fame and rewards, if you're up to the challenge. The Protectors continue to guard the universe long after their creators, the Oort, became extinct. They’re deadly, and they see you as a threat. 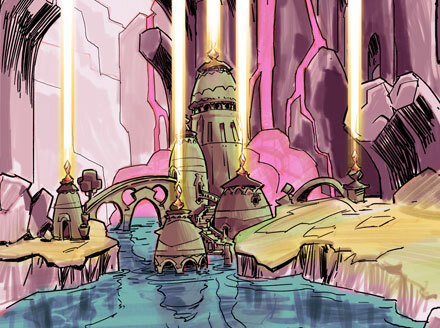 Long after the Oort have died out their creations: The Protectors continue to guard their worlds, Portals and temples. They attack on sight, and caution must be taken. They always fight in groups, and taking them on requires the right weaponry, equipment, skill and tactics. If you can defeat them great rewards and discoveries can be had. The immense Titans are mysterious flying beings which dominate the landscape. Titans can be found on some Worlds, their gargantuan shape floating above the landscape. Find one and if you have enough friends and enough power you can take it on. Don't expect it to be an easy task, taking down a Titan requires strategy, time, planning and serious guts. They are swarming with Protectors, and the energy that courses over their surface can be deadly. If you can triumph in this epic confrontation it is possible to harvest part of their core and make your own flying structures. Become Boundless and create your unique citizen. Define your own role and make your mark in a citizen-run, sandbox universe. Each citizen you meet in the Boundless universe is different in appearance, skill and role. It's up to you to define how you'll make your mark. The citizen-driven economy in Boundless allows you to progress in the things you enjoy, and use coin to shortcut the things you don't. 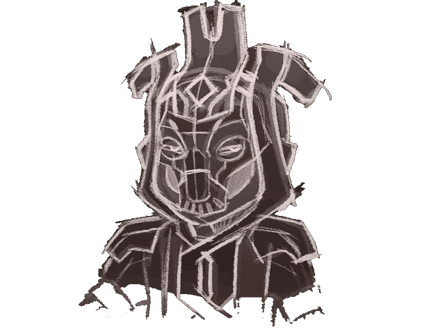 Become a famous builder and offer your services to other citizens and guilds, or renowned as a fearless Titan hunter that helps other citizens defeat the biggest challenges the universe has to offer, for a share of the loot of course. Gather and craft rare items and open well stocked shops that citizens flock to, or collect the oddest creatures in the universe and open a space zoo and charge citizens for entry. How you succeed in Boundless is up to you. Craft weapons, tools and equipment from resources gathered throughout the universe. Every tool, weapon, machine and object in the world has been crafted by someone. Craft your own equipment, buy from someone else, or produce things to sell to others. To become a real master crafter takes time, skill, and a well-built workshop. Become known as the person to come to for the finest equipment on your world. Live in a connected universe of epic proportions and unexplainable history, once dominated by a long extinct race, The Oort. The universe is vast and disparate. Every world is uniquely different, yet somehow they share common artifacts. Grandiose temples and monuments containing ancient technology exist simultaneously and inexplicably across all worlds. An untouched universe, selfishly meddled with by a race of explorers, The Oort. Now extinct, all that remains is their legacy. 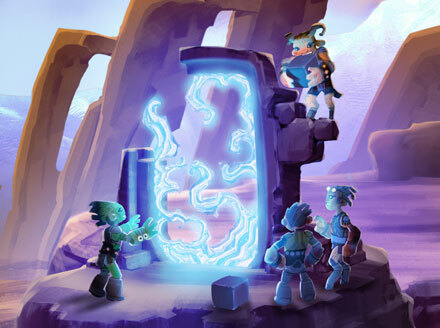 By harnessing artifacts left behind, your people have created Portals between worlds. 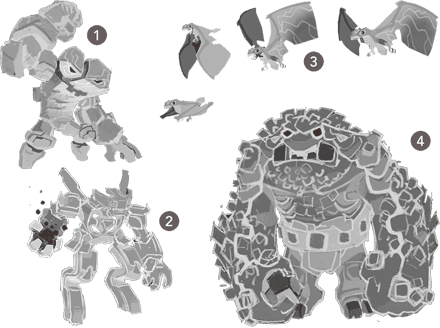 Long after the time of The Oort, all species of the universe live, build, trade and fight together. The universe is yours to explore. Discover voxels like you’ve never seen before in a single, persistent, online universe running across PS4 and PC. The many worlds of Boundless are procedurally generated and rendered using our custom voxel engine in a single online universe across both PS4 and PC. The engine allows for world generation with nearly unlimited colour combinations, sloping terrain, organic variations in shape and orientation, complex underground cave systems, dynamic weather, extreme verticality and highly variable terrain unique to each planet. The worlds of Boundless are brought to life with breathtaking draw distances, advanced level of detail scaling, real-time reflections, HDR lighting, fog, bloom, depth of field, and volumetric lighting. A sophisticated World Builder capable of creating epic worlds with near-infinite possibilities. In Boundless, no two worlds are the same. 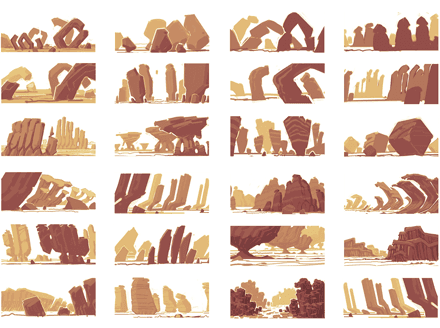 They are procedurally generated from thousands of different terrain properties and hundreds of block types to achieve giant chasms, towering mountains, twisting alien terrain, floating islands and complex underground cave systems. Each world is formed of a multitude of biomes and dynamic weather systems based on the environment of the world. The diverse universe of Boundless is constructed out of billions of blocks. 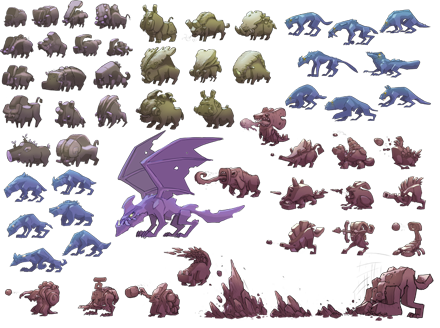 There are hundreds of block types, each with different behaviours and properties. 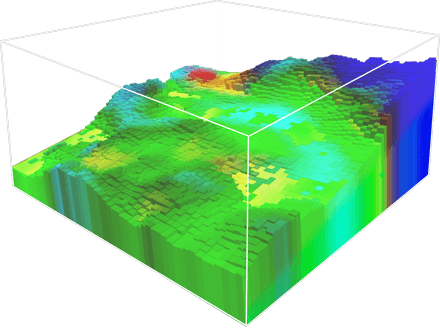 Worlds are generated from blocks with distinct properties and behaviours such as friction, hardness, bounciness, colour variance, liquidity, particles, slope, deformation and more. Life has evolved differently across the universe. Grass, trees, plants, rocks and more can be a completely different colour on other worlds. If you prefer one type of grass shade, bring it back to your home and plant it there. 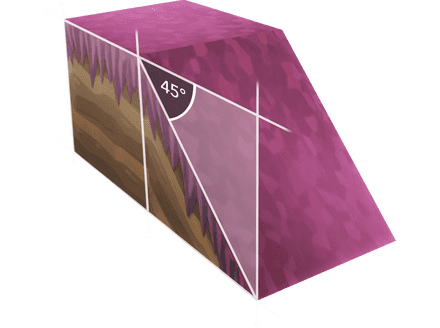 As Boundless matures more materials will be added, increasing the palette of block types and crafting recipes over time. Wonderstruck was founded in 2012 by ex-Lionhead and EA veterans. We're a team of artists, designers and engineers who love to make online games. We released our first game Polycraft in 2013, and The Marvellous Miss Take in 2014. We are now fully focussed on Boundless, and can't wait to take it to launch and beyond. You can follow us on Twitter or Facebook. We love voxel and procedural games! Minecraft, Vox, Brogue, Infiniminer, Cube World, Stonehearth, Spore, Trove, 7 Days to Die, Terraria, Starbound (and many more). We believe that these games have sparked the creation of a new genre, full of opportunities and a rapidly growing fan base. We're making features that we've wanted in a voxel game for a long, long time. Boundless is an always connected, persistent voxel universe with a brave new art style and tons of fun gameplay innovations. Keep an eye on our News section to see how we do things differently. We're based in the UK heart of the games industry, Guildford. Our neighbours are Hello Games, Media Molecule, Lionhead, EA, Fireproof, 22Cans, Rodeo Games, Supermassive (and many more, sorry if we missed you)! If you'd like to talk to or interview us about Boundless (by email, in person or Skype), then get in touch below. We're excited about sharing the game and talking about what's to come. If you want to cover Boundless on your website, blog or magazine there's a press kit below with everything you should need.